The Zambia Pharmaceuticals Business Forum (ZPBF) has raised a red flag against the Minister Health for exclusively awarding tenders for the supply of drugs to companies of personal interests, against the public procurement guidelines. And ZPBF has written to Ministry of Health Permanent Secretary, demanding the cancellation of tender number MoH/SP/016/17, among others, which was not subjected to open and inclusive bidding. 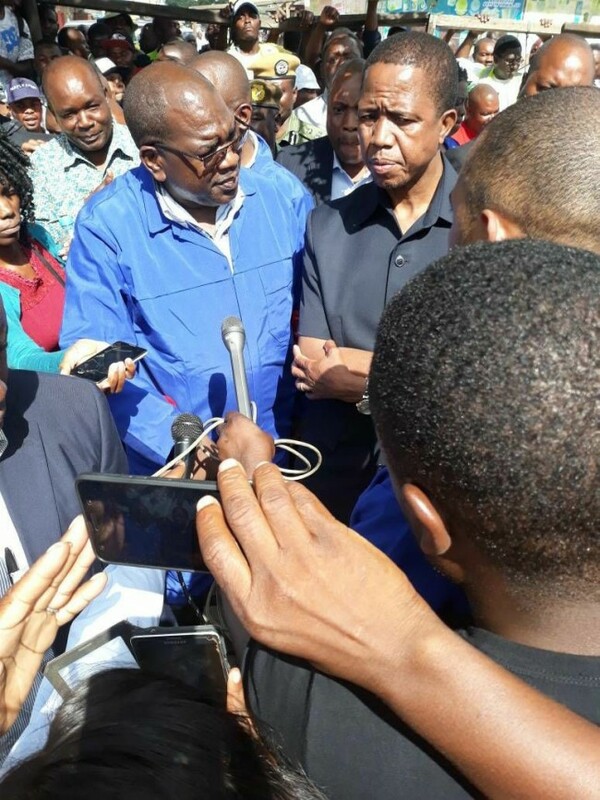 Meanwhile, Health Minister Chitalu Chilufya expressed anger at this reporter when he was challenged to explain the concerns raised by ZPBF, saying he would not engage the media on a matter that should have been dealt directly with aggrieved parties. And a whistleblower has narrated how Medical Stores Limited has engaged a named Chinese company situated along Cha-cha-cha Road to supply drugs, which do not go through quality checks as per standard requirement. But Medical Stores Limited public relations officer Patricia Ndulinda asked the reporter to provide supporting documents relating to the allegation before she could respond to the press query. In a letter dated November 8, 2017 addressed to ZPPA director, the ZPBF observed that the Ministry of Health was deviating from the Public Procurement Act restricting the award of tenders for the supply of drugs to selected pharmaceutical companies. “We acknowledge that the Zambia Public Procurement Authority (ZPPA) is the overseer of the procurement processes in this country and that the public procurement process and regulatory framework in Zambia are governed by the 2008 Public Procurement Act.” “The core principles of this Act relate to transparency, accountability, fairness, integrity and the need to promote competition to obtain value for money. The purpose of this communication is to bring to your attention that we have recently observed deviations from the Public Procurement Act in our line ministry, the Ministry of Health. The Ministry of Health has been intentionally limiting participation in tenders for pharmaceutical and medical suppliers by sending invitations to the short list of selected companies in a closed tender process. This practice of a limited bidding is the trend MoH has been using for over a year,” read the letter in parts. ZPBF listed some of the questionable tenders. “Tender for the supply of essential medicines, tender No MoH/SP/O16/17; estimated value of more than US$80 million. Tender for the supply of cancer drugs, tender No MoH/SP/009/17; estimated value of more than US$40 million. The award of 2 year framework for Orthopedic Implants.” ZPBF further requested to know what measures the Authority had put in place to prevent conflicts of interest in an event where some members of the evaluation committee at the ministry had some relationships with drug suppliers. “We are also aware that some members of the evaluation committee may have relationships with some suppliers. Should this be the case, we would like to know what measures ZPPA has put in place to prevent conflicts of interests and ensure integrity, transparency and fairness in assessment of the bids. We strongly feel that any conflict of interest should be investigated and dealt with sternly,” the letter read in part. ZPBF wondered why the ministry was sidelining qualified companies from taking part in the tender process. “There are currently, on the Zambia Medicine Regulatory Authority (ZAMRA) over 100 registered Pharmaceutical companies who are manufacturers, manufacturer representatives, International supplier agents and importers of quality registered pharmaceutical products and medical supplies with established track record who are qualified and capable of participating in tenders. This prevailing method of procurement has potential to kill local industry which this government has been trying to develop,” stated ZPBF. In another letter addressed to the Permanent Secretary, ZPBF requested the ministry to cancel tender number MoH/SP/016/17 and subject it to open bidding. “We refer to the above-mentioned tender for essential medical supplies and would like to raise our concerns over the way this tender has been announced only to some restricted bidders. As a forum representing the local pharmaceutical manufacturers, importers and wholesalers we urge you to cancel this tender as restricted only to few bidders and call for an open competitive tender.” “Looking at the list of requirements in the above-mentioned tender, we are sure that this tender cannot be called as an emergency tender to fill the gap in the supply chain for the following reason, (I) some items listed in the tender are being manufactured locally and some are readily available with the importers who have got marketing authorisation from ZAMRA, (ii) the quantities listed are huge and cannot be declared as an emergency requirement,” read the letter signed by ZPBF chairperson Ruth Mudondo, copied to the Minister of Finance, ZPPA, ZAMRA, Medical Stores and Minister of Health. But when asked to give the ministry’s position on the allegations, Ministry of Health Permanent Secretary Dr Kennedy Malama referred the matter to minister Chilufya, who expressed disgust at the reporter. “Go back to ZPBF and ask them if that’s their position, if that is their position, send them here. They don’t need a middleman, if they have concerns, let them come here. We will not engage through the media. So go and tell them to say ‘does this represent you?’ if yes, come, let’s go where the minister stays and let them come here. As partners that is what happens. If you are genuinely concerned, there is a problem, come we engage. If the facts are wrong, we correct you or we guide you and if the facts are correct, then we tell you this is important for us to strengthen our systems,” Dr Chilufya said. “That is how partnership work, they don’t engage through the media. So I am afraid if they engaged through you, I am not going to engage them through you, that I am not going to do. If they want to engage me, let them come.” When reminded that ZPBF had already written to him over their concerns, Dr Chilufya walked away saying “I have said enough, I will not talk to you on that one.” In a related case, a whistleblower narrated how medical stores is getting supplies from some companies which do not subject drugs to quality check. “The director of pharmaceutical standards a Ms Annie Zulu, is in charge of Medical Stores laboratory and quality assurance departments. But you should ask MSL what relationship she has with a supplying company called VL Pharmaceuticals Healthnet which is along Cha cha cha road plot 58/1 owned by some Chinese.” “You need to find out why she is not declaring interest if she is connected to this company. Most of the products supplied by some of these companies do not even go through quality checks as per requirement, before being supplied to the health facilities. Some of them are returned only at facility level once they start changing colour. The health of the citizens in compromised as this is against good pharmaceutical practices,” said the whistleblower.